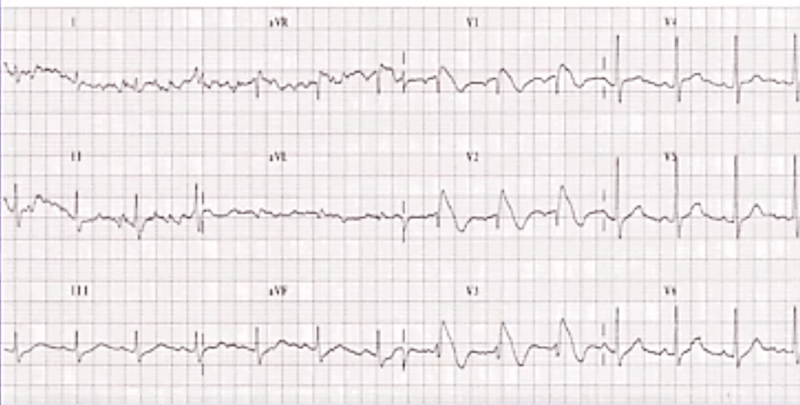 The patients is a 57-year-old man with a complaint of syncope 3 hours before arrival. He states he was sitting on the couch and the next thing he knew he was waking up. No preceding dizziness. No seizure activity, biting of the tongue, blood in the mouth, or post ictal symptoms. No cp, sob, leg pain, head pain, or back pain. He drank 2 glasses of water and felt better, but was encouraged to seek urgent care by his family.